Sunday marked the final day of Star Wars Celebration Anaheim. The Anaheim Convention Center was quite busy (not as busy as Saturday but still very busy) with lots of families coming to geek out together. One of the very popular exhibits of the day was the Lego play station where fans could build their very own Millennium Falcon. The big panel for the day was Conversations with Gareth Edwards and Josh Trank. Sadly, Josh Trank was a bit under the weather so it ended up really being a Conversation with Gareth Edwards. 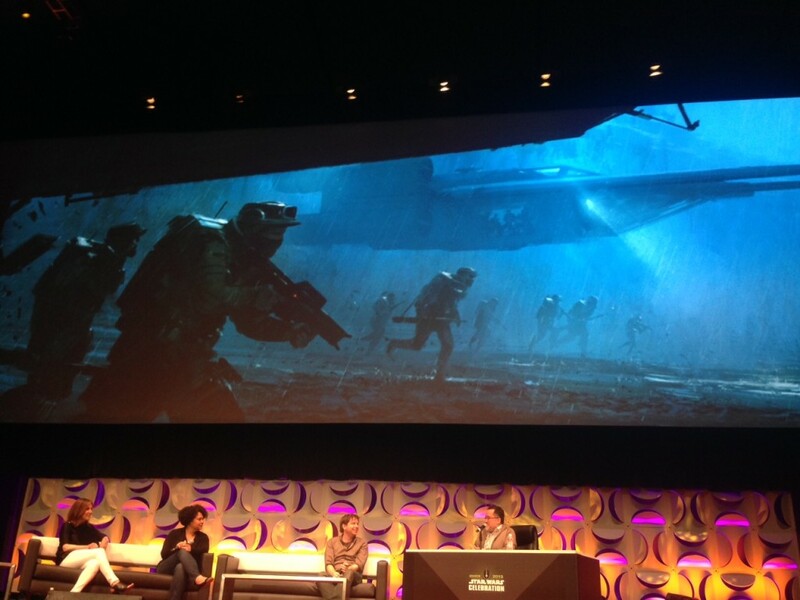 In this panel, Kathleen Kennedy, Kiri Hart, and Pablo Hidalgo were joined by Gareth Edwards to talk about the first Star Wars anthology movie, Rogue One. 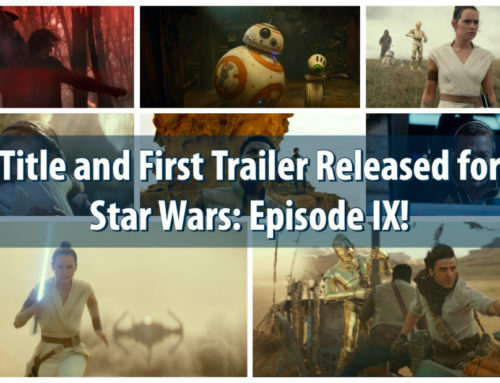 This movie is going to be unlike any Star Wars movie that has been released before. It really will focus on the war aspect of the franchise more than the sci fi portions. To put simply: Star Wars: Rogue One is a war movie through and through. The movie will focus on efforts of the Rogue One squadron to steal the plans of the Death Star. It will be taking place before the events of Star Wars: A New Hope. The other main panel of the day was Star Wars Rebels: Past, Present, and Future. This panel included Dave Filoni, Carrie Beck, and Henry Gilroy who talked about the various aspects of this incredibly popular show. A lot of the focus was on the future and how Star Wars Rebels fits into the bigger picture of Star Wars. 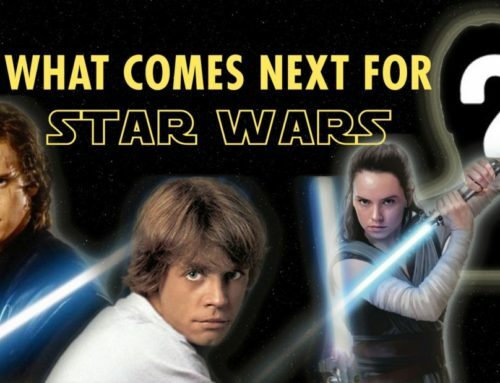 Once again the message can be heard that each presentation of Star Wars is one piece of a much bigger puzzle. There was quite a bit of discussion on Season Two along with some sharing of clips from the upcoming season. Season Two of Star Wars Rebels will definitely be worth watching! The final event of the day was the Star Wars Celebration Closing Ceremony. It was a wrap up of the entire celebration with two main things coming out of it. The first was the recap video of the weekend. 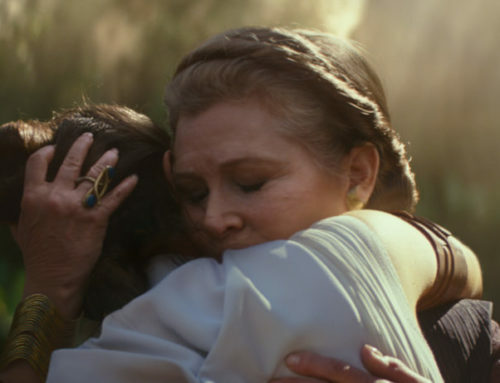 It was basically a highlight reel of the weekend that definitely poured on a heavy dosage of nostalgia for all those in attendance at Star Wars Celebration this year. The second big thing to come out of the closing ceremony was the dates and location for the next Celebration. The next Star Wars Celebration will happen July 15-17, 2016 at the Excel London Exhibition Centre in London, England. The next Star Wars Celebration will happen July 15-17, 2016 at the Excel London Exhibition Centre in London, England. This event is being billed as being a Europe Star Wars Celebration and not just the United Kingdom. 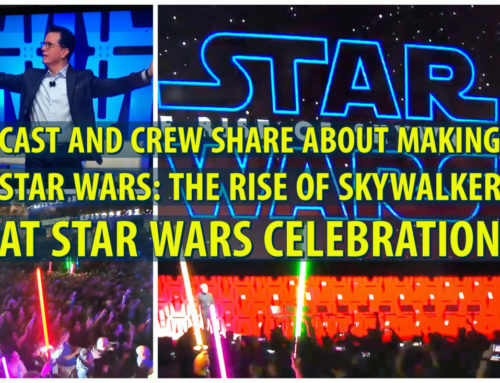 Star Wars Celebration was everything one would expect from a weekend devoted to Star Wars. There were Jedi, Sith, Droids, and other aliens to be found throughout the convention center. There were some really incredible panels, with Star Wars: The Force Awakens and the Star Wars Rebels panels easily standing out. Some history was made and revealed, some friendships were made, and the Force was strong at Star Wars Celebration Anaheim.